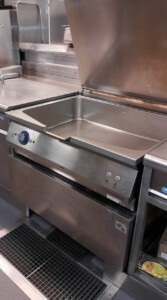 Here at Caterquip, we offer a range of Bratt Pans to suit restaurants of all types, shapes and sizes. Feel free to browse through all our Bratt Pans displayed below, and do call us on 01733 714 262 if you have any questions, or would like to discuss making a purchase. Our friendly, knowledgeable team is here to help! Bratt pans are designed for producing large scale meals. The typical uses for these types of pans are for searing, braising, shallow frying, and general cooking. Usually the units feature either electrical or manual tilting. What Exactly Is a Bratt Pan? 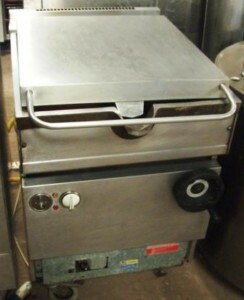 A Bratt Pan is heavy duty, and it is mainly used as a commercial cooking appliance. It can perform up to eight different cooking functions. These functions range from braising and boiling to steaming, poaching, stewing, deep-fat and shallow frying, and roasting. 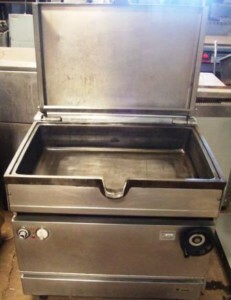 These types of pans are typically used in catering businesses or schools, hospitals, or large staffed canteens. Due to the size of these pans, they are rarely used for residential purposes. The name comes from the German word ‘brat’, which means to fry. However, in German it is not called that; it is called a kippentopf, which literally means a tilting pan. These pans have rectangular, deep cooking pots with pull-down lid that is counter-balanced. The heat source is located at the base of the pan and is either electric or gas. All Bratt Pans have a tilting feature that is operated by a hand driven mechanism or electrically. 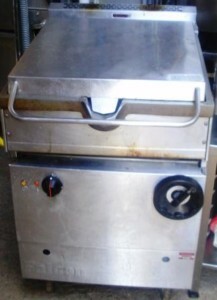 They are also called a ’tilt skillet’, and they are designed specifically for the busiest and biggest establishments. These pans are freestanding and include a wide, large single-piece lid and cooking pot. Why Should A Bratt Pan Be Used? These Pans are a very versatile piece of equipment that can be used for a varying array of foods. 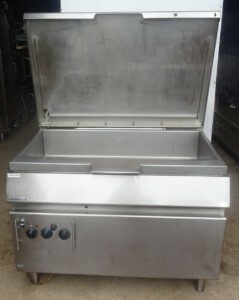 This one piece of equipment can easily replace numerous pieces of heavy kitchen equipment. Although they are large, they do save a lot of space in comparison with using a bunch of individual appliances to do the same tasks. The pans are a good choice for commercial kitchens. From sauces to soups that use multiple cooking temperature modes, they can do the job. In fact, these pans are either used alongside or instead of cooking kettles. Cooking kettles are food kettles or boiling pans. These are used for kitchens that cook in bulk. They have a lot of power and capacity and ensure consistent cooking results, regardless of how big the batch is. This can be used with a Bratt Pan for big jobs, or a Bratt Pan can take over the job of the cooking kettle. The whole idea of this pan is to save time. Cleaning is one of the features that does just that. 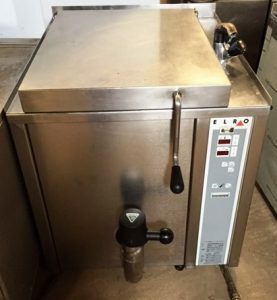 Compared to other types of machines of the same size, these pans are a breeze to clean. Tilting the pan with either an electric motor or a hand crank, depending on the model purchased, is all that is required to clean it. These pans have a central spout, and as such, any remaining food is removed easily this way, and the pan is then ready for cleaning. Any residue remaining can be quickly removed at this point, so the pan will be ready for the next job. 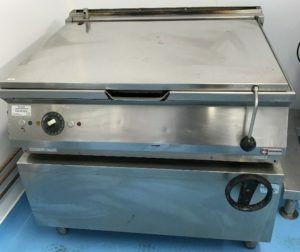 Why Buy One of Our Bratt Pans For Sale? 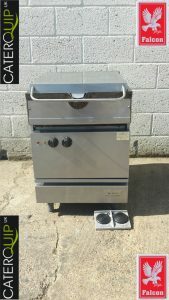 Here at Caterquip, we are experts at providing quality catering equipment at highly affordable prices. 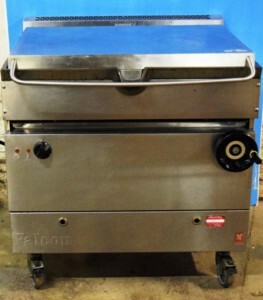 With all our products (not just our bratt pans), we supply only the best refurbished, reconditioned or used goods, and we offer a warranty, so you can have peace of mind when you purchase from us. From holiday resorts, to household-name fast food restaurants, with famous TV chefs in between, we’ve worked with clients in all industries, across the entire country. In fact, we’re currently expanding our operations overseas, meaning that Caterquip is truly becoming a global operation! We mention this not to brag, but simply to show to you that we are a legitimate company with a long and proud record of carrying out excellent work for our clients, that has resulted in many of them coming back to us time and time again. 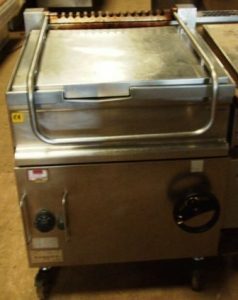 So, if you’re interested in purchasing bratt pans, or any other kind of catering equipment, then why not get in touch with us and become the next in our line of satisfied customers? After all, we are here to help you get the catering equipment you need, at a price you’ll enjoy! So you can have further peace of mind, we’ll include below just a few of the testimonials we’ve received from customers over the years. If you’d like to see some more, you can visit this page. Gavin Peasey – Witchford Village College, Ely.